Recruiters and talent acquisition professionals face challenges today that they have never experienced in the world of recruiting. Recruiting has been going through a major transformation over the last 10 years and the current bullish job market is adding to the pace of change. Employment trends, social and technological innovation, and shifting employee demographics are some of the major factors leading to recruiters looking for ways to keep up and thrive in this ever evolving space. In order to keep up with these changes, recruiting leaders must be proactive and keep an eye on current and upcoming challenges in talent acquisition and look at elevating their processes, use of data, AI, and automation technologies to help them meet these challenges. Some of the most demanding challenges recruiters face daily span across the entire recruiting lifecycle with proper Identification of best-fit candidates all the way down to the metrics they should be tracking to measure success. Let's take a look at what we believe are the Top 5 Challenges recruiters face today and how we can help solve them. According to a recent survey by Recruiting Daily, 85 percent of hiring managers wish they had better access to qualified and best-fit candidates. Simply being qualified doesn't mean that you are the best fit to do that particular job. Recruiters and hiring managers alike need to be very clear about what you need from the person you are hiring for this role – in terms of both behavioral traits and skills. This isn't always easy given the time pressures most recruiters are under today. When timing means the difference between a great hire and none at all. ENGAGE is constantly educating our customers on how AI and a more data driven approach can be used to identify the right candidates to start a job conversation. Why waste your valuable time with candidates who will never engage in a job conversation? Instead, AI and machine learning can help identify the ones who have a higher propensity to take your call or respond to your email. The other thing we always encourage recruiters to do is connect with candidates through events, learning opportunities, and an ongoing online presence that will keep you top of mind for these talented people. The more you develop the community around you, the better the chances of having quality candidates. Gaining market intelligence on businesses, industries, and competitors can be the biggest time consumer of a recruiter's week. It's hard to keep up with all the "noise" in the market. In the ENGAGE platform, each company and industry is assigned a Talent Retention Risk score indicating their relative strength or weakness in terms of ability to retain employees. A recent validation study with Bureau of Labor Statistics (BLS) indicates that the ENGAGE Industry TRR scores are a leading indicator of actual industry quit rates over the next 3 months. Similarly, a recent comparison of Fortune 100 companies with job change activity rankings shows significant positive correlations at the company level. ENGAGE tracks hundreds of categories of news and events at the company and individual level, including re-organizations, RIFS, mergers/acquisitions, and layoffs, which are monitored and processed nightly, and are one of the many inputs in the overall model and scoring methodology. For the hiring managers out there, the actual process of hiring has become only a small part of their responsibilities. According to a recent Recruiter Box survey, 85% percent of survey respondents spend a significant amount of time on employee training, development, and retention, while 82% spend time on compensation issues and 47% on benefits management. Hiring managers and recruiters alike can use the power of AI to narrow the top of the recruiting funnel by only focusing their energy on candidates that will fit instead of the entire pool of available candidates. Candidates are tired of receiving cookie-cutter messages from recruiters that aren't relevant or contextual in anyway. Understanding job seekers’ profiles and preferences is the first step to attracting top talent. It's that simple. Crafting a winning message that seizes a candidate's attention can be a daunting task given the constant time pressure that recruiters face today. That is again where AI can help. Artificial Intelligence is changing outbound recruiting for the better with 1:1 personalization. AI enables recruiters to personalize their messages and deliver the right message to the right candidate and at the right time in an automated fashion. In this aggressive job market, a large number of e-mails crowding candidates’ inboxes every day, catching their attention is of prime importance. Timing is everything, and it if you send an email to the potentially right candidates but at the wrong time, you risk losing them forever. Knowing what makes them tick is important and understanding their job history, the events that are driving their job change desires, and their overall goals can mean the difference between an attention grabbing email versus getting "crickets". The AI can help you to personalize the messages that are contextual and deliver them at the right time. Discovering the optimum time that each candidate is most likely to open a message can be extremely time-consuming because it must be determined by examining their past behavior. AI and predictive analysis have made it easy for recruiters to study customer behavior, generate insights, and create an e-mail automation system based on this specific data. Thus, with AI algorithms, you can determine the best time to send relevant e-mails to each and every candidate. Recruiters today have a host of technological tools at their fingertips. While these awesome tools reduce the error rate and streamline most of the recruitment process, the data available from these systems aren't actionable and insightful for recruiters to make better decisions. In addition, recruiters aren't trained to look at the numbers and gleam necessary insights from numbers. Cost-per-hire, time-to-hire, candidate sources, candidate engagement (social media shares, number of followers) and company rating and employee reviews on sites like Glassdoor, all of these form a good starting point for data-driven recruiting. Measuring quality of hires and other recruiting KPIs not only allows recruiting leaders to make a business case for more targeted recruitment spending but also uncovers upcoming recruiting challenges and opportunities in a timely manner. ENGAGE is an AI-powered recruiting platform that helps companies identify and target new talent that they were not finding via traditional methods and in traditional pools. ENGAGE aggregates data from over 30K sources to create talent profiles on 100M professionals and 13M companies. So we are all about data….lots of data. Using a solution such as ENGAGE, recruiters can get a much deeper understanding of how they are performing and what seems to work in terms of response rate, engagement, and general team activity results. How many candidates did you email? What was the open rate of those emails? What was the click through rate? These are just some of the questions that are answered at an individual or team level within the ENGAGE platform. Considering the many new entrants in the HR Tech space and the evolution of SaaS technology in recent years, it is increasingly becoming difficult for recruiters to understand which of these solutions actually work versus the ones that are just hype. Unfortunately, most companies do not have the right processes in place to effectively filter out the recruiting technology nightmares. A simple was to measure one solution versus is another is to measure how quickly a particular solution will get you to a new pool of candidates and with tools that require little to no training. For example, ENGAGE helps recruiters connect with new talent pools, at the right time, with the right message. The result is a more efficient and productive talent acquisition team who fills roles proactively by engaging qualified talent instead of waiting for the right applicant to come to them. By leveraging ENGAGE predictions and recommendations, we can help you identify candidates for difficult-to-fill roles in a fraction of the time and doubled their candidate response rates. In summary, every organization has its own set of recruiting challenges to deal with. 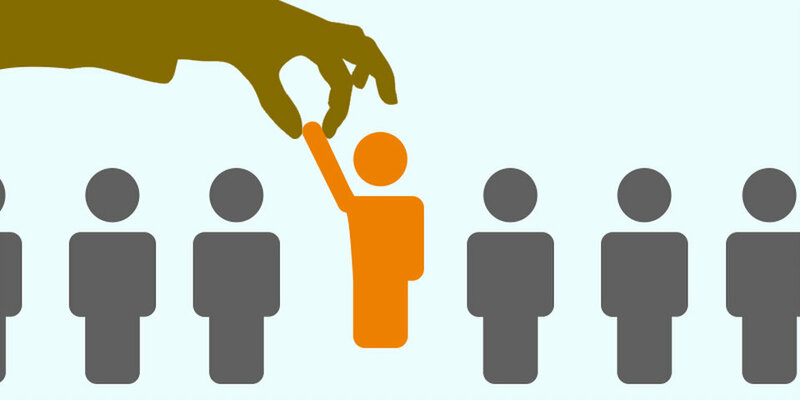 In today’s rapidly changing recruitment landscape, hiring the right kind of candidates has never been more important, which means that recruiting leaders need to be more proactive in their approach towards talent acquisition, identify challenges and work towards executing them. Using AI to zero-in on candidates that are the most likely to have that job change conversation is a great place to start. Narrowing the top of the funnel of candidates will increase efficiencies right down the hiring process.